As noted by FanGraphs author Jeff Sullivan earlier this month, Tyler Glasnow has become a different and better pitcher. Being traded from the Pittsburgh Pirates to the Tampa Bay Rays is playing a part in that, but there’s more to his step forward than a simple change of scenery. The 25-year-old right-hander had already begun evolving. Glasnow added a slider to his repertoire this year, giving him a third pitch to go with his high-octane heater and a curveball that has always flashed plus. He’s also started to elevate more fastballs, allowing him to take advantage of his velocity and above-average spin rate. Perhaps most importantly, he’s been getting his mechanics in order. Inconsistency has long been a bugaboo, with Glasnow’s 6-foot-8 frame getting much of the blame whenever he’s gotten out of whack with his delivery. He’s back to a starting role now. The Pirates put him in the bullpen this spring, and he remained there until Tampa Bay finally pulled the trigger on an anticipated Chris Archer deal, acquiring Glasnow along with Austin Meadows and Shane Baz. The Rays promptly placed the high-ceiling hurler in their rotation, where they hope he remains for years to come. Glasnow talked about the strides he’s made, particularly in terms of his repertoire and delivery, prior to a recent game. Also weighing in on the right-hander’s continued development is Tampa Bay pitching coach Kyle Snyder. Glasnow on his two breaking balls: “They’re different grips, and the intent is different. Early in the count, I’m more of a curveball guy, while the slider is more of a put-away pitch. I would say my slider is the better of the two, but it’s easier for me to throw my curveball for strikes. I grip my slider like a traditional slider. 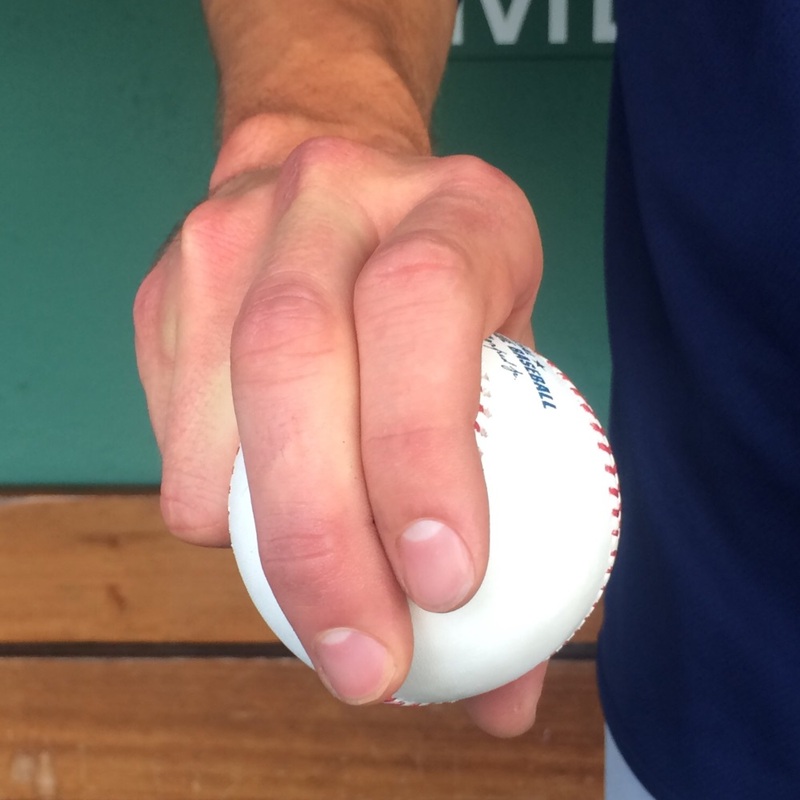 My curveball is a pitch I release with the seams a little more parallel to my fingers. “The break is similar, they’re both 12-6, so I think it’s maybe hard for PITCHf/x, or whichever technology is being used, to [classify them]. In terms of usage, I’ve been throwing them pretty evenly. The curveball is a little slower and kind of just drops in the zone. The slider bites a little sharper. It comes in off a straighter plane, then breaks down. “When I was in Pittsburgh I was having trouble with the separation of my fastball-curveball arm speed. When my fastball was on, some days my curveball wouldn’t be on. The slider is a lot more similar to the arm speed of a fastball, so I can always count on them coming off that same plane. It’s a more consistent pitch in terms of being able to use force with it. 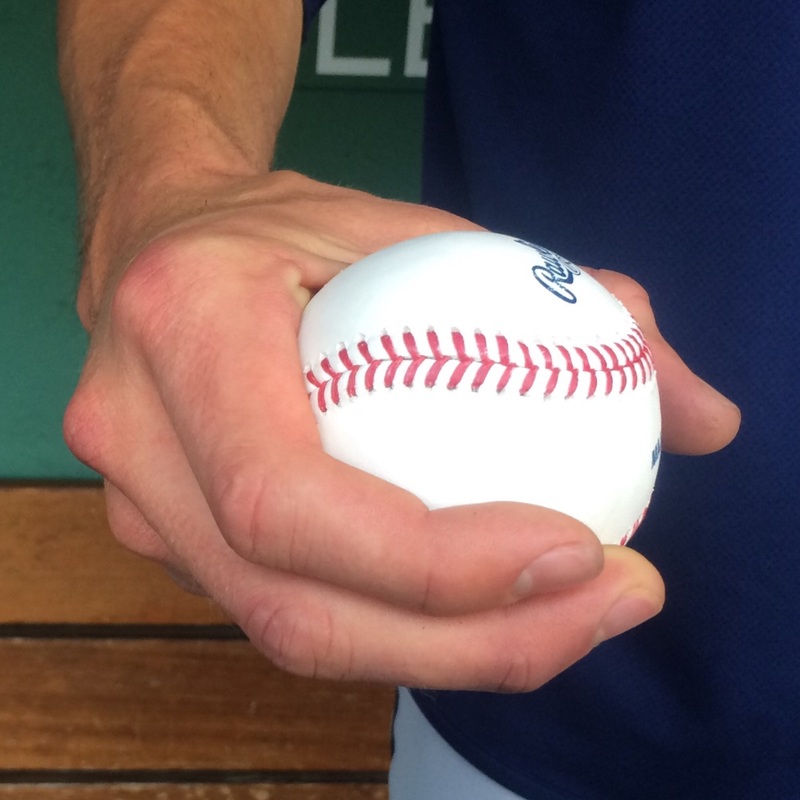 A curveball… not like you need to manipulate it, but you can’t throw it the same way. “After I got here, I threw a bullpen and we looked the depths of my pitches. Kyle was more a fan of my slider, and we came to the conclusion of more curveballs for strikes and sliders for put-away. I agreed with that. “For me, a slider is an up-and-down pitch — fastballs up and sliders down. A lot of it is my arm angle. Like I was saying, the depth is similar to my curveball. I’m a really over-the-top guy. If I were lower, it would be more sweepy — and some days it does get a little sweepy — but if I’m throwing it right, it’s 12-6. Sometimes I’ll want to bury it in the dirt. On mechanics and throwing more fastballs up in the zone: “I started to realize the value of that while I was in Pittsburgh. I was working on it, and now that I’ve been able to have bullpen sessions to work on stuff, it’s been easier to throw in games. Being a starter, you have that opportunity, whereas as a reliever you really don’t. “There’s also more of an emphasis on it here. In Pittsburgh… I mean, we realized, yeah, that works — up in the zone with fastballs and down in the zone with breaking balls. They’re not anti-up-in-the-zone. Whatever works, works — and they’re pretty open-minded there. I was starting to do that more in Pittsburgh, and things have started to click as the year’s gone on, especially since I came to Tampa. “Mechanics are part of it. I hadn’t been in a spot, physically, where I could go up whenever I wanted and down whenever I wanted. For me, it was finding that feeling of staying loaded over my back leg. I was obviously working on that with guys in Pittsburgh. It’s been a slow process, and this year that feeling has been a lot better than last year. Kyle Snyder on Glasnow: “We acquired Tyler at the deadline, and he started the very next day. I gave him a few sound bites before that first game, and then we got to work on some stuff after that. I’d probably seen him pitch four or five times for Indianapolis when I was at the Triple-A level with Durham. He’s somebody I’ve been intrigued by, given his size and his stuff. “We’ve talked about being aggressive to large areas of the strike zone, especially early in the count, in terms of early-count zone rates. We’ve talked about his breaking balls — they’re very similar in terms of their break values, with his slider being the harder of the two — and how to use those. We haven’t talked about anything mechanically. He made an adjustment in Pittsburgh, about a week or two before we acquired him, and he’s picked up right where he left off. Things have continued to fall into place. “He’s probably pitched up in the zone a little more in his handful of outings here than he has in the past. That’s something he wanted to do, and he’d already been exploring it. That lined up with any thoughts we might have had an on approach adjustment, and everything has kind of gelled from there. Really, a lot of what we’ve delivered to him are things he’d already thought about and was working on.